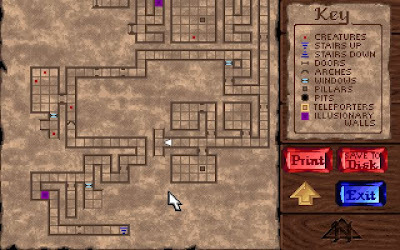 This is another classic DOS game I've created a MAC version for. No other files or programs required as everything is self contained to run as a single executable. Dungeon Hack, utilizes a pseudo-3D game screen based on Strategic Simulations Inc, (SSI) own Eye of the Beholder series. Levels are randomly created each time a new game is started. SSI claimed that billions of different games are possible. 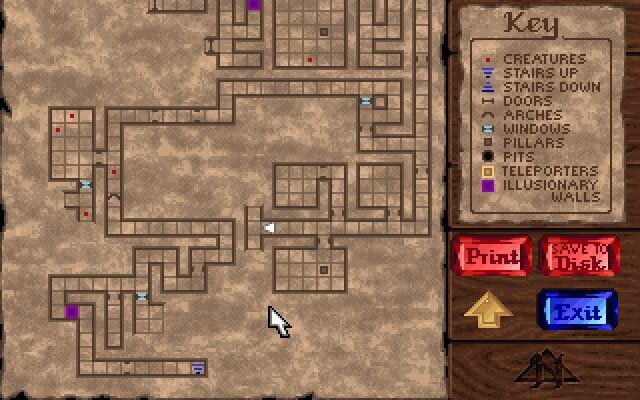 Players can also play identical dungeons by sharing a 'seed code' the game uses to create at run time. 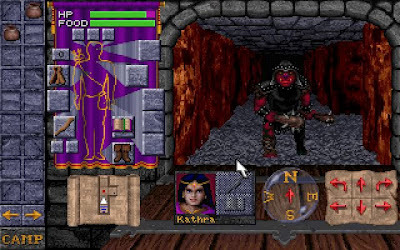 Dungeon Hack uses the rules of AD&D 2nd Edition. 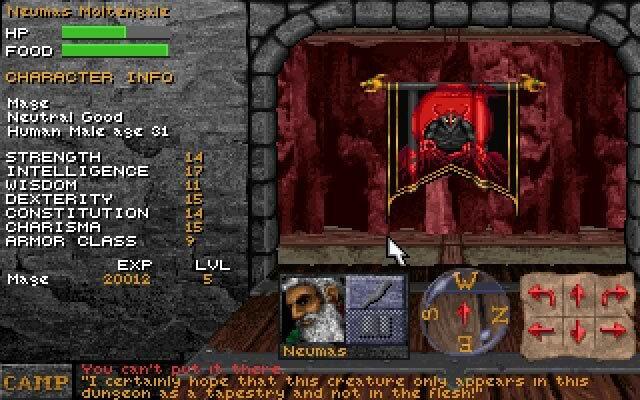 Most notable about this game is the option to have "perma-death", unlike other such graphical AD&D games, i.e. Pool of Radiance. 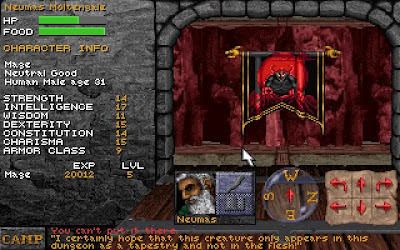 Restored saves are deleted upon character death, as with traditional roguelike games. There also the link is dead ! Aww, the link is down again. This looks great though!